Pamela B. Green’s Be Natural: The Untold Story of Alice Guy-Blaché, narrated by Jodie Foster, is a feature documentary that rewrites film history, revealing for the first time the full scope of the life and work of cinema’s first female director, screenwriter, producer, and studio owner Alice Guy-Blaché. Pamela B. Green has dedicated more than eight years of research in order to discover the real story of Alice Guy-Blaché (1873-1968) – not only highlighting her pioneering contributions to the birth of cinema but also her acclaim as a creative force and entrepreneur in the earliest years of movie-making. 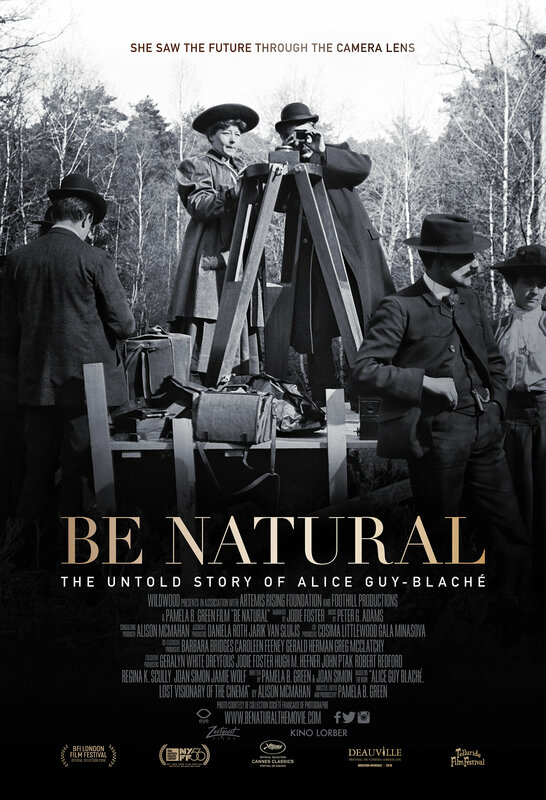 Green discovered rare footage of televised interviews and long archived audio interviews which can be heard for the first time in Be Natural, which affords Alice Guy-Blaché to tell her own story. A Zeitgeist Films release in association with Kino Lorber.